Mumbai's night life is always considered safe and good. 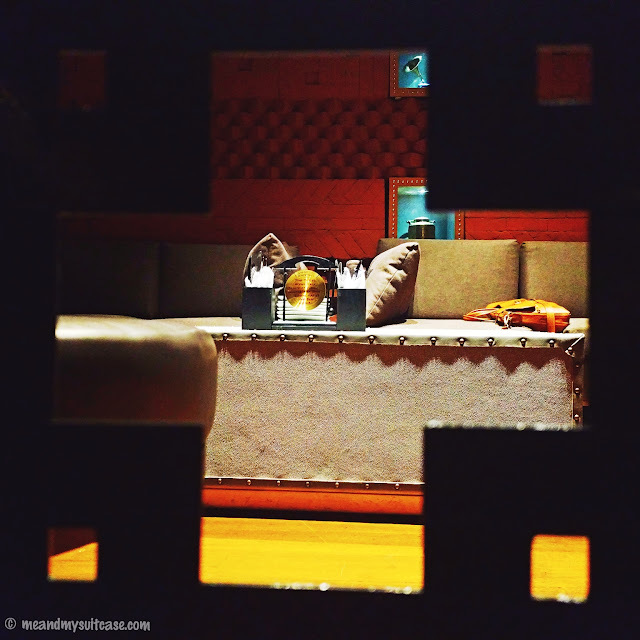 Its restaurants, music, food; there is no dearth when it comes to options. Mumbaikars work hard and party harder. Recently I was invited for a fine dine experience by Grand Hyatt at their recently revamped China House Lounge and believe me it was all about grandeur. 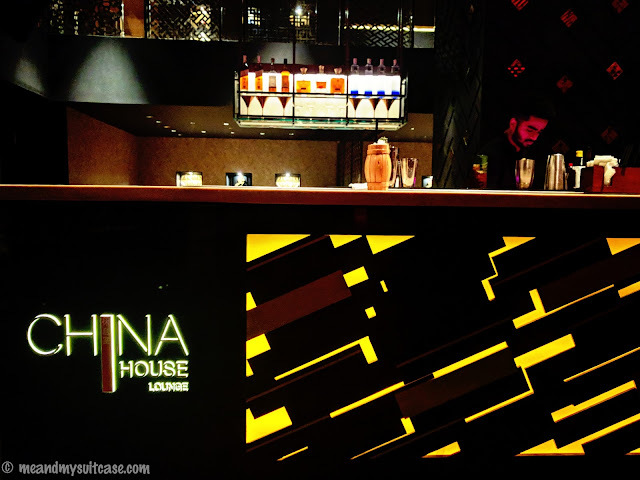 China House Lounge is not only everything Chinese but has an eclectic ambiance designed for people who love detail and quirk. 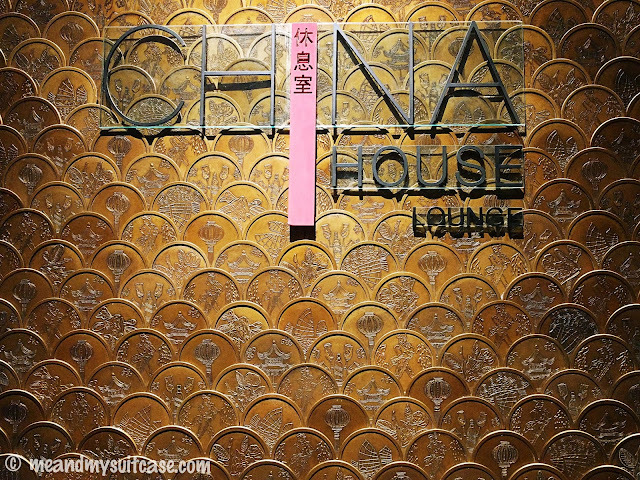 From grand doors adorned with coin-shaped decor (depicting coins used by travelers many years back in China) to the drinks which were served outlandishly, China House Lounge is a mix of ideologies. Can you spot the coins? 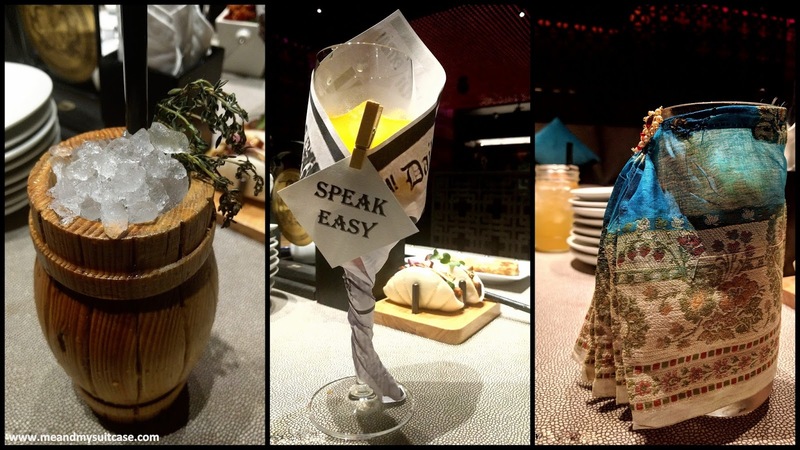 Here, every drink / cocktail has a story which Bar Chef wholeheartedly narrate while making your drink. Yes, they call themselves Bar Chef and not Bar Tenders. 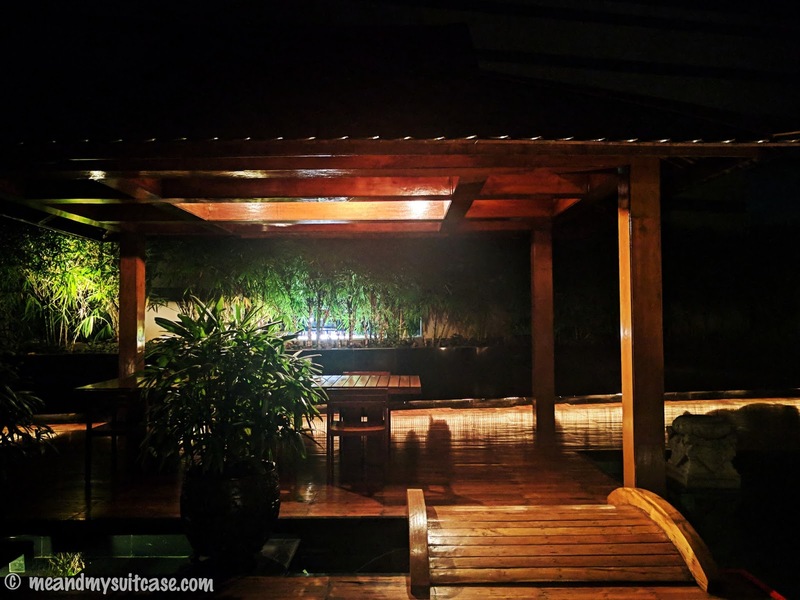 This authentic Chinese restaurant is dimly lit and has used blue, red and yellow lights to embellish the multiple seating style like in the form of long table booth and lounge. 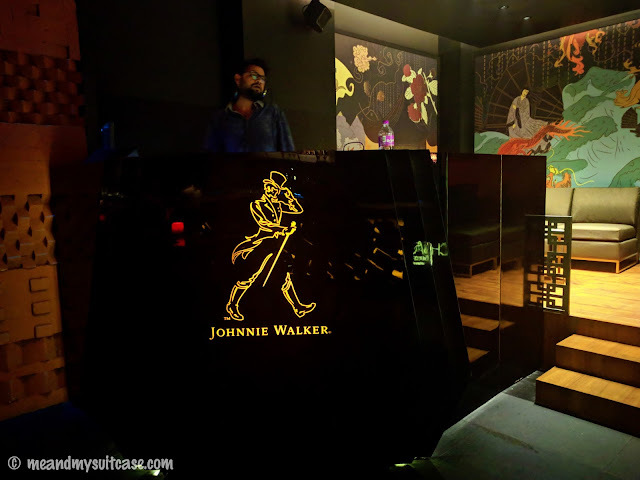 It is also the first Johnnie Walker lounge in India. The false walls / dividers are in the form of wine cellar. Bar is set right in the centre and DJ in one corner with a huge emblem of the legendary Johnnie Walker plays some real cool stuff while you enjoy your food and company. To add, music is light till 2200 but catch up with night and keep you alive and kicking with increased volume after that. Dance Eat Repeat. It has a wide and vivid variety of Drinks and some amazing starters and dessert options. 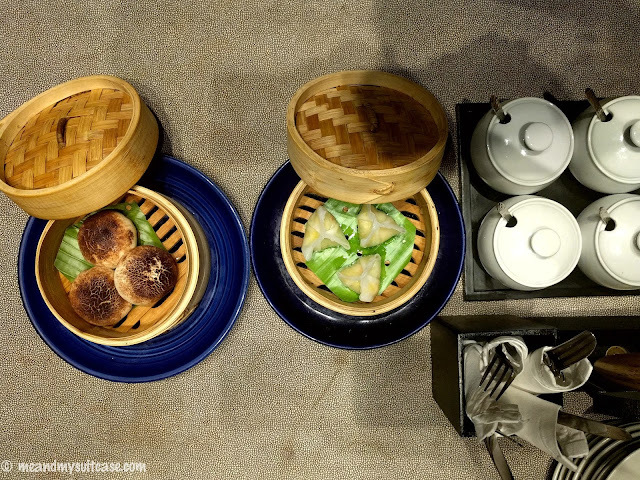 In starters I had Mushroom Shaped Bun, Pumpkin Steamed Dumpling with edamame & truffle oil, Barbecue potato, Lotus Root Fritters with Potato, Crispy Chilli Vegetables with bean curd and cashew nuts. Cocktails were served in style, jewelled with cool names and interesting stories behind each one. Dessert basically took my heart away. 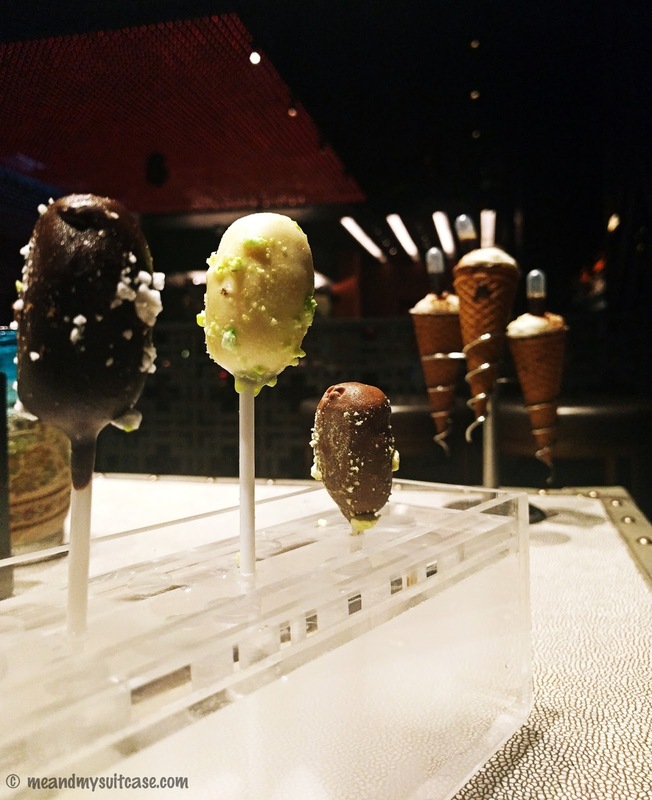 Popsicle were served in holder kind of vessel and had a hew like effect due to dry ice, four differently flavored Popsicle had a hard shell and soft stuffing. Another dessert and my favorite from the night was Tiramisu Cone. It was beyond words, tasted amazing, not very sweet, creamy with chocolate liquor tube on top which kept oozing chocolate into the tiramisu cone and gave it an amazing twist. This definitely left me wanting for more but my full stomach decided against having more. 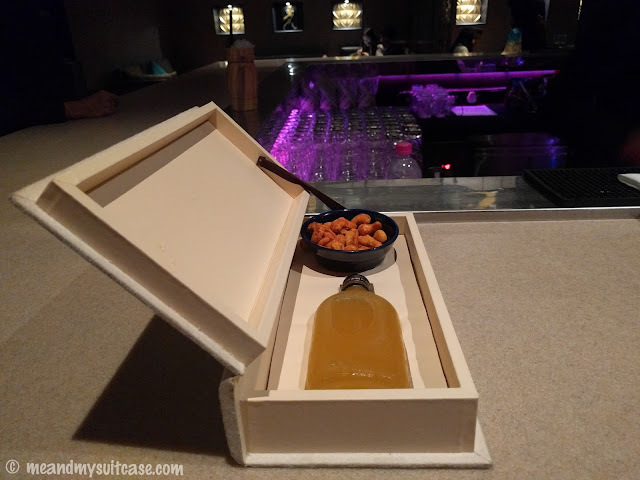 The drinks are in fact inspired by the stories during Prohibition Era. From 1920 to 1933, there was a constitutional ban on the production, importation, transportation and sale of alcoholic beverages. But as they say you can't stop the one who is determined and that's when travelers and a few men derived a way to consume and sell alcohol. 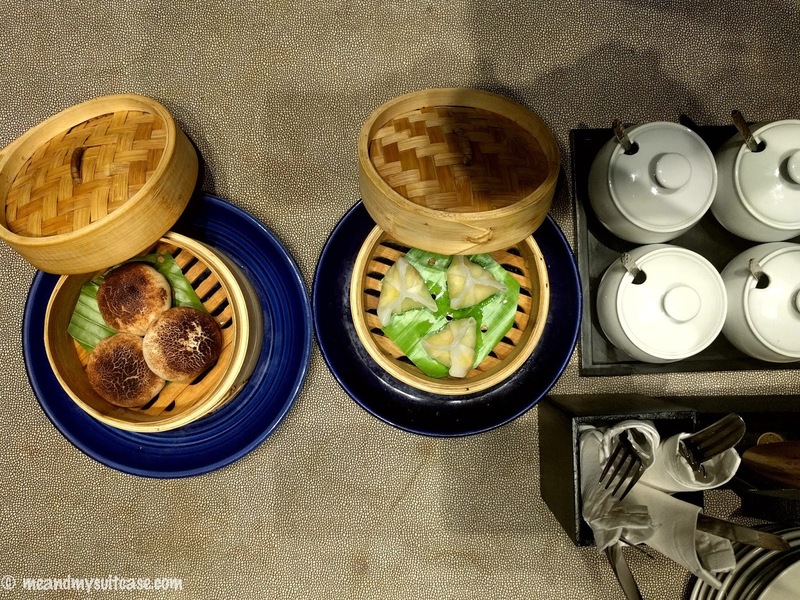 Mushroom Shaped Bun, Pumpkin Steamed Dumpling with edamame & truffle oil, Barbecue potato, Mob Boss and Tiramisu Cone. To enjoy a hearty meal with fun facts from the bar chef and servers and cool, peppy music, this is the place you ought to be. P.S. 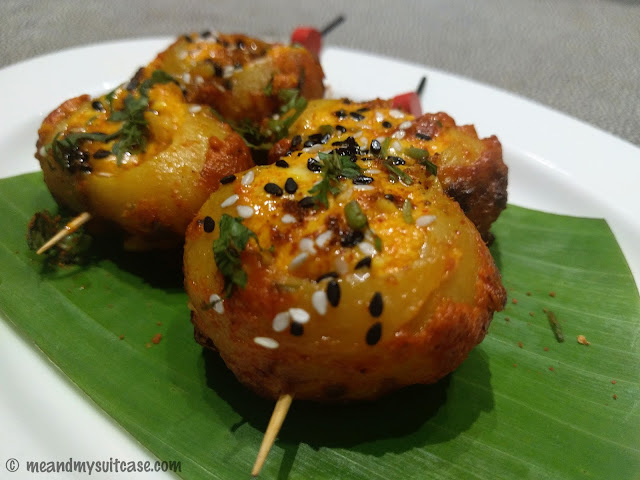 A variety of non-vegetarian dishes were served as well which are also the specialty of the restaurant but I don't promote non-vegetarian food, so, refrained from writing on it or posting pictures. I am glad you were able to find great variety in vegetarian food here. Mushroom shaped buns and barbecued potatoes look great. Hey nice post buddy. I loved the pics. I'm still waiting to hear the story by bar chef. Sounds intriguing. Regarding story please check the video at the end.